The2019 Winter Classic Boston Bruins Team Jersey, authentic style, which is superbly crafted and custom made, using only the finest materials. These jerseys are constructed and crafted like the ones the pros wear to replicate a pro cut uniform. They feature premium fabric with all sewn-on graphics matching those worn by the actual players. Names and numbers are always done by sewn on tackle twill, team graphics are also tackle twill, with features like stripes and piping made from fabric and sewn in place. When tackle twill is not used embroidered patches are sewn on the jerseys. Will be shipped as shown 33 Zdeno Chara C , we will be happy to customized with any other name number, at no added cost, just enclose your requested name and number when you complete check out. Authentic style NHL premium quality jersey All STITCHED / EMBROIDERED, no screen printing or iron ons. All Jerseys are custom made to order and offered in a wide range of sizes this listing is for men’s Extra Extra Small to Men’s 10X, please see our sizing charts. We are one of a very few offering jerseys in Big Men’s Sizing, Ladies and Youth sizes. With any name and number you would like. A comfortable 60/40 Polyester Nylon Blend makes this sharp jersey last for a lifetime. Ships from our Philippines Office, same flat rate anywhere in the world. Please allow 7 days for production of the jersey. Any name any number, we will be happy to customized this jersey, at no added cost, just enclose your requested name and number. 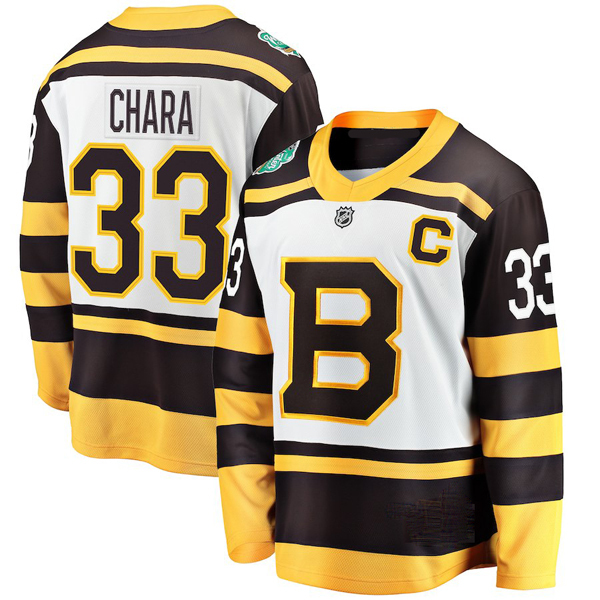 If no name number is requested will be shipped 33 Zdeno Chara C. Authentic style NHL premium quality jersey All STITCHED / EMBROIDERED, no screen printing or iron ons.